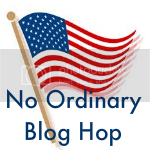 While reading my fellow crew mate's blog, Our Homeschool Reviews, she posted about No Ordinary Blog Hop (NOBH). NOBH is a fun way to meet new people and visit new blogs too! July is a fresh new month and it's fun. You just link up your posts on the site. It's fun to have so many different topics to read about in one place! Want more details? Stop by! Thank you Melissa for joining and spreading the word about NOBH. We are thrilled to have so many wonderful participants. Melissa, thanks for mentioning me, that is so sweet!! And thanks for participating in the blog hop. It's a lot of fun and you get to meet so many neat ladies! Hi Melissa, Thanks for advertising NOBH and for linking up:) Love you page background:) Looking forward to getting to know you better thru your blog. I'm visiting from NOBH! :) You have a beautiful family. Very nice blog!